After sunlight, air, water and soil, there’s not anything more basic than plants. They aren’t often referred to in economic discussions. Corporate titans are not portrayed standing in fields of vegetation or discussing the virtues of plants in human economic, environmental, or social problem solving. Yet, plants are essential components in the global, national, regional, state and local economies – every place on earth. It is time to give plants their due and recognize the vital importance of the plant based economy and educate ourselves regarding its diverse contributions to live and better living. Veganomics can be espoused these days because the creature exploiting economic enterprises which have predominated in past decades are not doing well and even their advocates have begun to diversify so as to not be dependent on them in the future. It is clear that the future belongs to veganomics. If it is over for that old flesh eating creature exploitation culture, the process will not be finished quickly. A long time will be required for new behaviors and values to catch up with knowledge. Still, this is a time when many dairy farmers advise their children to try tofu and themselves try soy, rice, oat, potato and sesame milks. While a farmer may yet tend both creatures and plants, there’s no doubt which of these ventures is most likely to be continued one, two or five decades. Creature based agriculture, huge a business as it is in decline. Not one of the four major flesh product producers in the United States has a healthy balance sheet, contented healthy employees or good prospects for the future. Plants, on the other hand, are alive and well. A vigorous organic-veganic plant-based agriculture is rapidly growing. Wherever one looks, more high quality food plants are being grown than ever before. And it’s not just because there are more people on the planet. Rather, more people are choosing to increase consumption of plant foods. For example tempeh is an old soyfood which evolved in Indonesia, which is made around the world these days, and in more styles and flavors. But, tempeh is only one veganomic success story. How many varieties, flavors, textures and packaging varieties of tofu are currently available? From their simple Buddhist temple traditions, mock flesh products have become widely known and used. And what previous occupants of this planet have known of textured vegetable protein, commonly referred to as TVP? Falafel, humus and Tahiti are popular north and south. Pad Thai with tofu and vegetables is being served all around the world. A veganic revolution surrounds. Remember when Americans didn’t eat flax or sunflower seeds and soft margarine hadn’t been invented? The times they are a changing. flesh sacrifices to the gods. Isn’t it obvious that there has been a revolution in the restaurant industry, company, college and even hospital cafeterias which now typically accommodate plant eaters. Haven’t grocery stores similarly transformed? Veganomics means good times for all. Veganomics is concerned with profits, but it also has a heart. At the core, veganomics has a compassionate philosophy. Veganomics cannot be mercenary because it is guided by ethical principles. Also, veganomics provides jobs which never before existed, and investment opportunities. Sooner or later there may be a vegan mutual fund. And isn’t it time for at least one vegan retirement community or healthcare center? Billions of dollars are circulating in the veganomic sector and its current growth – as well as its future growth prospects – is strong when measured by any criteria. Does anyone expect that plant based nutrition will shrink in popularity and disappear? Recent furor over federal efforts to intervene in and take control of definitions of “organic farming” indicate there is an educated and sophisticated population which is wide awake and health conscious. As the hundreds of thousands of petitions were being signed by free citizens all over the country, was there any doubt of the importance and acceptance of the local health food store and the multi-billion dollar free market it has spawned and nurtured to the advantage of people’s physical and mental health? What better time to introduce the concept of “organic – vegan standard” produce than today? And if it is not discussed and tested now, when will its overwhelming logic become a wave which washes overhead? What might we expect next? EXXON has perfected polymer films which are permeable so that specific rations of oxygen, carbon dioxide and nitrogen are allowed to enter and being exhaled by the vegetables and fruits contained in these market ready bags? Blueberry farmers are beginning to use self-propelled berry picking machines which require only two persons on board and which pick, vacuum and waterspray clean, size-sort, containerize in exact weight portions and then label and stack these containers for immediate shipment to the retailer for consumers to buy. Not a berry is touched by human hands between bush and kitchen. And in this modernization, Austria, where the machines are designed and manufactured, and New Jersey, where farmers are putting them to use, are linked as the global economy is veganized and expanded. How many computer chips from Texas, New Mexico, California and Korea are used in these complex cost and labor saving machines? How long, after such an innovation has come forward, will it take before such machines are being made in Michigan and Japan? Who will come up with the greatly needed mechanical strawberry-picker and training programs for displaced workers which prepare them for vegan careers? Plant based nutrition can produce plenty for everyone, if it is wisely initiated and managed. So we need collaboration among advanced vegan physicians and engineers, seed suppliers and fertilizer researchers, compost producers and orchardists, farmers and grocers, packagers and labelers, publishers and librarians, nutritionists and educators, and many others. Even better foods are possible. You can help make the world a better place by participating in veganomics, as best you can, thereby helping others you may never personally know to enrich their lives and health at the same time. This isn’t as good as it gets, even better days are ahead for vegetation eaters and plant-based nutrition. Veganomics is here to stay and you read it here first…. “VEGANOMICS, An Exploration of Economic Concepts Relating to Plant-Based Nutrition” is a paper presented at the American Vegan Society 38th Annual Convention at Evergreen State University, Olympia, Washington, July 29, 1998 by the president of IPBN, James Marlin Oswald, Ed.D. It is a preliminary draft of an official IPBN position paper which will be revised and expanded from time to time. A brief summary of veganomics is available on a videocassette from AVS. Copies of the original twelve page paper and any subsequent editions are available from IPBN and all or part of the text will be accessible through the IPBN internet website. This is a work in progress, reader responses are welcomed. Louisiana was once the center of a massive dried vegetable industry, that was in the late nineteenth century when Chinese entrepreneurs settled on the islands of the Mississippi River delta south of New Orleans. In China today, dried vegetables are winter staples. They are cheaper, less processed and probably more nutritious than canned products. Just pile them in the attic or shed and hydrate as needed. Dried cabbage, celery, broccoli, turnips, giant daikon radishes, these make good soups and stews. Louisiana historians have no doubt recorded the Chinese dry food era for antiquarians who wish to look into the past. Dried vegetables are great, Louisiana wonderful, and there are many other marvelous dry foods which can be reconstituted with water to produce fantastic nutrition. Soy products are miraculous. Future historians will chronicle the establishment of what is expected to be a persisting and expanding soy based textured vegetable protein industry noting the significant pioneer entrepreneurship of Lumen Foods of Lake Charles, Louisiana. In this latter twentieth century era of plant-based nutrition resurgence, vegan Lumen products stand out as outstanding in terms of taste, texture, appearance, convenience, packaging and storability. Someone has done their homework whose heart, mind and hands are in the right places doing the right things for everyone’s betterment. Lumen’s HEARTLINE soy TVP products are made of defatted soy flour, purified water, soybean and/or sunflower seed oil, autolyzed yeast, natural flavorings – soy sauce consisting of soybeans, water and salt, garlic and onion powder, pepper cream and/or cayenne, with potassium sorbate -a polyunsaturated fat to preserve freshness, and citric acid – our great friend vitamin C. No cholesterol, low in calories, low fat, high protein good eating. One ounce absorbs another ounce of water and provides 10 grams of vegetable protein. Athletes, get a load of this. Lumen offers various sizes of packages. IPBN staff have tried every Lumen product and like them all. The several TVP jerky products win rave reviews from everyone who has tried them. Small 1.5 ounce packages slipped into homemade school lunches would undoubtedly be popular – winning friends if not better grades for the lucky school child. If one truck driver will try them, word will spread and the orders will pile in. Bankers and professors should keep supplies in their desks. Brokers and insurance salesmen, housewives and coal miners need soy TVP and won’t find better than these. A set of packages was left on the shelf for two years and survived perfectly. End of the worlders and Year 2000 catastrophe planners will want to have a plentiful supply. Heartline TVP flavors include all the traditional ones people appear to crave and rejoice over. In the kitchen, home or restaurant, the 8 ounce packages will make many successful meals diners will compliment. The textures are authentic and so are the flavors. Chewed raw, these products are delicious and nutritious. Boiled or baked they will be evaluated as superb. In this food category, nothing is better or easier to use than Lumen products. LUMEN FOODS, Box 350, Lake Charles, Louisiana 7062-0350. Request the “free brochure on the wide range of superior attributes of this miraculous product.” And consider buying the book in which the originator of these soy TVP foods describes his philosophy and rationale for inventing them. One modest priced introductory package provides a sample of each product along with the book. Paul needs love. Everybody does. Let’s shower him for his demonstrated compassion and thank him for the many kind services he has provided quietly over a long and exemplary lifetime. He’s one of America’s greatest actors, a good neighbor to people around him in Connecticut, a champion American and one of the world’s most honorable chefs. He keeps food simple and people’s natural attraction to his culinary arts launched the charitable corporation over which he presides – NEWMAN’S OWN. At our humble home, Newman’s name on labels has been respected since his first batch of tomato sauce was launched by the neighborhood ACME Market in the 1980s. Or was it earlier than that? We are grateful for that tomato sauce which has adorned many plates of pasta and drenched the tofu lasagna that we’ve been making over the years. NEWMAN’S OWN Olive Oil and Vinegar Dressing has been a staple on our table food more years than we remember. A bottle is sitting beside the computer at this very minute, to remind of that universally pleasing smile and the beautiful vegetables surrounding his glowing face. We suppose he’s a master gardener as well as chef, actor, driver and charitable entrepreneur. While lauding this deserving near saint, we flinch over the necessity to announce that there’s a label faux pas. Mr. Newman has again staked his reputation for quality on food for the people with a commendable sauce. Alas, in the haste of perfecting the recipe, finding just the right bottle and stirring all those vats night and day, someone has come up with a less than perfect label which has unfortunate imagery and humorously intended words which might have been gentler. A horny Paul Newman label on this new sauce unconvincingly intimates raging bull qualities. But this is Ferdinand…. Mr. Newman is compassionate. Though the horns are probably plastic facsimiles and a hint that this spoof is bull, some may misunderstand. Yet still more cutting for ethical vegetarians is the label line “Preferred by 9 of 10 Cows.” Here again, double entendre is in play as the reference may not be only to bovines or whales. Oops. Here again, some may be offended. The fake bull horns and references to cows may not win the market which this succulent savory sauce deserves. Funny sometimes isn’t profitable. In the advertising world, this may be a case of hoof in mouth disease. So we are speaking out early, crying out for a little tenderness, and asking others to reflect on the situation and compassionately, humanely, humorously if possible, express their personal perceptions to the saucy product originator. If double-entendre humor is the theme, we ask for consideration of alternative label imagery – vegetables always photograph well – and wording such as: NEWMAN’S OWN STAKE SAUCE – Preferred by 9 of 10 Desperados [A wooden stake – perhaps flaming – could be centered below his face. ]; NEWMAN’S OWN VEGETARIAN SAUCE – Douse Them Liberally; NEWMAN’S OWN UNIVERSAL SAUCE – The Secret is in the Transmission [He could have a halo. ]; NEWMAN’S OWN HEART HEALTHY SAUCE – 9 of 10 By-Pass Surgeons Dread It [or, Undertakers Fear Its Power]; or, NEWMAN’S OWN FAMILY TOGETHERNESS SAUCE – One Bottle Serves All. Finally, we’d even go along with the fake horns portrayed on NEWMAN’S OWN STEAK SAUCE if the sub-title could be “The Hornier the Better” or “For Horny Desperados” or “Great on Seitan, Tempeh, Tofu, Vegetables and Bull Tales. Others may suggest better ideas. We offer ours gratis. Having donated almost $100 million to charities – though perhaps none of these has been committed to plant-based nutrition or for the compassionate treatment of fellow creatures other than humans – Paul’s NEWMAN’S OWN enterprise has nevertheless been pretty noble. He’s helped many people! And all along his heart has been in the right place. He’s had lots of fun and helped others have fun. We know he loves vegetarians. So, what is appropriate to say regarding the new sauce label? How to make it nice? Contact: President Paul Newman, Newman’s Own Inc., 246 Post Road East, Westport, Connecticut 06880 TEL: 203-222-0136 FAX: 203-227-5630. Lovingly, tenderly, let us beg Mr. Newman to reconsider the current steak sauce label, clarifying and perhaps even intensifying the subtle humor. Vegetarian Resource Group provides educational work experiences for volunteers through its rotating internship program and may yet have a regular position relating to school lunch program dietetics. Contact VRG – Charles Stahler, Box 1463, Baltimore, Maryland 21203. Street Station, New York City, New York 10012. American Vegan Society has long provided internships. Contact: AVS – Freya Dinshah, Box H – Dinshah Lane, Malaga New Jersey 08328-0908. North American Vegetarian Society provides internships. Contact: NAVS – Brian Graf, Box 72, Dolgeville, New York, 13329. FARMUSA has educated many interns who are now leaders. Contact: FARM – Alex Hershaft, Box 30654, Bethesda, Maryland 20824. Farm Sanctuary – East and – West provide internships. Pick a coast. Indoor and outdoor service work. Learn rescue and humane -creature care. Small farm plant food production acreage available for resource development project. Contact: FS – Gene Bauston, Box 150, Watkins Glen, New York 1491-0150. Institute for Plant Based Nutrition also provides volunteer service opportunities. Librarian, computer data entry, scientific and historical research using libraries, laboratories and internet resources, campus and school organizing, hospital food service, school lunch, vegan gardening and agriculture, health fair tabling, drama scripting and other programs can be adapted to meet service credit requirements for educational institutions. Contact: IPBN – Jim Oswald, 333 Bryn Mawr Avenue, Bala Cynwyd, Pennsylvania 19004-2606. EarthSave can provide internships at a variety of sites in North America. Contact: EarthSave – Jim Littlefield-Dalmares, 600 Distillery Commons, Suite 200, Louisville, Kentucky 40206-1922. Erik Marcus 1999 Spring Vegan Tour is scheduling presentations across America. Meet and hear the author of Vegan: The New Ethics of Eating (1997). Contact: Steve Kimball TEL: 888-books11 EMAIL: stevek@mcbooks.com with requests and suggestions. Please mention IPBN. Howard Lyman author of Mad Cowboy (1998) is booked into the next century but may have brief time gaps when he could be available in locations near you. Contact: Willow Jeane Lyman, Box 22903, Alexandria, Virginia 22304. TEL: 703-461-3393 FAX: 703-461-3393 EMAIL: hlyman@aol.com WEBSITE: www.madcowboy.com with requests and suggestions. Please mention IPBN. World-class expertise in dehydration processes in centered in Belgium where there is a continuous tradition of food drying technologies. We are advised by a Congo-born Belgian food technologist that slow, even, low temperature drying can preserve the cell structure of vegetable, fruit and other plant material so that enzymes, vitamins, carbohydrates, proteins and minerals are only concentrated and not destroyed. Good news. Even watermelon can be dried, giving up 97% of weight to provide a 100% pure watermelon product. Useful flavorful watermelon bits can be eaten alone, rehydrated as desired and used in diverse food products. Ever wonder where the watermelon came from in an item labeled “natural flavor.” Papaya? Mango? Banana? Fig? Apple? Pear. Peach? Nectarine? You name it, Belgian technicians can dry it using low temperatures and preserving 100% of the natural quality. Nothing added, nothing taken away except water. All the minerals and most enzymes remain. This is one of those plant based nutrition specialties few know anything about, but which has been around for centuries. Home food dryers have become popular. Commercially, North American food growers, processors, designers, retailers and the consumers they serve will find healthful opportunities in naturally dried edible plants. Potato and tomato powders are being vacuum dried and solar dried kelp flakes are widely available. Already available from plants in Honduras and Poland are: Tropical Fruits – pineapple, banana, mango, papaya, melon, watermelon, kiwi; Soft and Stone Fruit – strawberries, raspberries, blueberries, cherries, apricots, peaches, plums; Vegetables – zucchini, eggplant, white cabbage, red beet, leek, horseradish, bell pepper, tomatoes, mushroom, cucumber; Herbs and Spices – dill, chives, parsley, thyme, basil, ginger, jalapeno pepper. Obviously leading the field with this wide range of time-tested European-standard quality products is Dehydration Technologies Inc., Industrial Road 40, Berkeley Heights New Jersey 07922 TEL: 908-508-0022 FAX: 908-665-8356. In Pennsylvania we have John Cope dried white corn which sells faster than Lancaster County farmers can grow and dry it. Since the 1950s we’ve trusted and used Jaffe Brothers organic dried fruits from California. Poiret pear-apple purees have been on our table over decades. From Belgium. Our food technology informant says “There’s something in plums and many other fruits which preserves them naturally if they are carefully dried.” We believe. Some New Hampshire plums we oven dried in 1975 were eaten for years and when we found a jar full in a box in our current basement we ate and enjoyed them in 1992. Still good after seventeen years. Poiret may last centuries. Illustrations of fruit and vegetables in this issue have been provided by Juiceman product manufacturer and distributor Salton/Maxim Housewares, Inc., 550 Business Center Drive, Mt. Prospect, Illinois 60056 TEL: 800-233-9054 WEBSITE: http://www.juiceman.com. These illustrations originated in FRESH JUICE RECIPES & MENU PLANNER (1992). Thanks to the Salton/Maxim sales manager who encouraged PBN to “Copy away!” Nice lady. 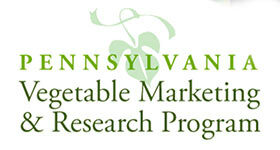 We reciprocate: If you can use any PBN information in encouraging plant-based nutrition, copy away! We happily share anywhere we can be helpful. Vegan kinship is very powerful, and once it touches you, it will change your life forever. In Spring we found the Sweet Onion Inn, a vegan bed and breakfast hospitality center in Hancock, Vermont. Thinking about whether there was another vegan inn, we remembered that we already knew about the Farm Sanctuary vegan bed and breakfast cottages in Watkins Glen, New York. A network of two…. In The Vegan Society journal we reviewed pages of British vegan-vegetarian inns and bed and breakfast facilities, figured there must be at least one in France. A transatlantic network…. Mid-Summer, at the American Vegan Society Annual Conference, we met the operators of another vegan bed and breakfast, spa, sanctuary, hideaway, paradise near Seattle and Puget Sound. There must be more and if readers will advise us of their locations, we will provide a list called “Directory of Plant Based Nutrition Inns – Bed and Breakfast Havens for Vegans and Friends” or something similarly apropos. Nothing fancy. Maybe just one page. Where are they folks? Let the lights shine. Annapurna Inn Retreat and Getaway, 538 Adams, Port Townsend, Washington TEL: 800-868-ANNA or 360-385-2909 invites you to visit and stay awhile. Vegan cuisine, steambath, sauna, massage. Starts at $75.00 per person with double occupancy. It is veganomical to spend with friends, help those who demonstrate reasonable dietary practices. Why would we want to eat our fellow creatures? Now & Zen offers “cakes that nourish the body and tantalize the soul.” Vegan, of course. “Cakes so beautiful they rival the finest European pastries.” Raspberry Cheesecake, Lemon Chiffon, Blueberry Cheesecake, Zesty Orange Creme. Shipped frozen, these cakes maintain freshness for 90 days frozen. Thawed, they remain fresh for “five to seven days”. Order 52, eat one a week…. For traditional holiday season dining Now & Zen also offers a classic entree, fully-cooked made of “delicately flavored tender” seitan dressed in a delectable yuba beancurd skin and filled with a savory bread stuffing. Five pounds of protein-rich eating along with a full quart of delicious gravy. Serves eight adults. Glittering in the candlelight and ceremoniously sliced, this creation will attract even the most recalcitrant non-vegan. The illusion is perfect. Your relatives and other guests will be surprised and delighted. Hollywood should use the “The Great UnTurkey” in holiday films. Disney should feature this product at every theme park. “UnTurkey” should be served in the White House, Congressional Cafeteria and wherever the United States Armed Forces are stationed. Now & Zen entrepreneurs are working with some airline catering services. These foods served aloft would win millions to vegan choices. No feathers, no bones, no creature died to feed people. Better still, people are fed naturally – plant based foods are the way to real health and happiness. “Needs only reheating to be enjoyed!” say the creators: Now & Zen, 665 22nd Street, San Francisco, California 94107 TEL: 800-335-1959 or 415-695-2805, FAX: 415-695-2843. Order a dozen, eat one every month. Tell friends. Ask your health food store manager to stock these products or arrange to make equal or better in your own area. One supplier can’t feed all 270 million Americans plus the Canadians and Mexicans. Plus, we have to get ready to send good food to Cuba sooner or later. Ole! “Un Turkey” mole. Not content with coast-to-coast success with Tofurky, having it praised on national television and seeing it stocked in health food stores almost everywhere, Turtle Foods Inc. entrepreneurs have made another contribution with their introduction of various flavors of “Deli Slices.” “The best we’ve tasted,” exclaimed one sampler at the September Whole Foods EXPO in Baltimore. “yes,” exclaimed half a dozen others enjoying the same experience. The task now is to get these new foods tried in every town and village. That process is underway. If you haven’t tried them, your local health food store can obtain samples. But don’t forget Tofurky, the initial product which has brought health and happiness to diners in tens of thousands of homes during and between holiday seasons. It’s an ingenious blend of herbed tofu, with a wheat based seitan skin, filled with a tasty herbed dressing. Along with it, in the ready-to-thaw box of frozen delicacies, are delicious tempeh drumsticks and a delicate cashew gravy – enough for four hungry feasters. Just put everything in the oven and dinner will be done by the time you’ve mashed white or sweet potatoes, made fruit and vegetable salads, sliced bread and the vegan mince pie has cooled. Frozen whole meal pack and the deli-slices of smoked and plain Tofurky are available directly or through a national network of distributors and health food stores. Here are more products deserving of attention from hospitals, hotels, restaurants, airlines, school, military and other institutional food service people. Wake up folks, fine food is available which won’t make people sicker and can begin to educate them for wellness. Surprise us, do something really healthful this holiday season. Get with it. Do something fun while participating in the food quality improvement revolution which surrounds you. Contact: Turtle Island Foods, Inc., Box 176, Hood River, Oregon 97031 TEL: 888-TOFURKY, FAX: 541-386-7754, EMAIL: tifoods@aol,com WEBSITE: http://slnet.com/cip/tofurky. Born in Germany to a soap making family, our ALL-ONE-GOD-FAITH American soapmaker hero, Dr. E. H. Bronner passed on several years ago. His healthful vegan products continue to be produced by his family who are heroic characters themselves. Though absent physically, his spirit remains alive and for us, Dr. Bronner will live forever in our hearts. Lovable soapmaker? How could an affair like this get started? Our first acquaintance with Dr. Bronner’s PEPPERMINT 18-1 PURE-CASTILLE SOAP was in a Salt Lake City health food store 1958. It was love at first sight. That intriguing, beautiful blue label was irresistible. The potassium, coconut oil, peppermint concoction worked better than any soap we had ever known. It did everything and we’re still using it daily for shampoo, bath, mouthwash, deodorant, produce washing, kitchen cabinets, dishes. Spotting soiled clothing, hand laundry… pretty much everything which requires cleaning. At various times, we’ve used it to clean windows and car seats. Most recently, we’ve addicted an 85 year old Mother to using Dr. Bronner’s to clean spots on her white nylon carpeting. She “can’t believe” how well it works and is on a second bottle. As backpackers in the 1950s, we never left home without “Dr. Bronner’s.” Our three children were raised on it. We’ve tried the eucalyptus and almond soaps. We’ve used his bars of handsoap and even made our own using Dr. Bronner’s Sal Suds soapmaking powder and vegetable oil. The barley malt sweetener powder has been in a thousand recipes and his calcium-magnesium powder is sprinkled into soups, mixed in patties and loaves, added to breads and blended with herbs in our salad dressings. Relatives and friends have received Dr. Bronner’s products as gifts from us over the decades. To our knowledge, Dr. Bronner never offered a product that wasn’t miraculous. The man made his marks well and left gigantic footprints. Dr. Bronner’s products and good works continue. We have met one of Dr. Bronner’s grandsons, talked with another by telephone and personally met his stalwart sons and their wives at trade shows over the years. We are enamored. There are down to earth, salt of the earth, real people. Good neighbors wherever they live, three generations of Bronners remain on the planet. There’s a United States Naval Academy graduate grandson engaged in survival training in Maine. Another grandson is president of the enterprise in Escondido, California. Both sons work for the company from their homes in Wisconsin and California. After all, Dr. Bronner himself lived across America at various times in his pilgrimage. In the troubled Germany of his childhood, the young Emanuel Bronner observed a wide range of human conflicts. Troubles appeared before him again when, having migrated to Wisconsin, he found himself jailed and declared insane in the 1930s. The man was a character who could be misunderstood in nervous times by fearful people. After awhile, however, the charges were proved false and this genius had to be released. He went on to California in search of tolerance which could include him. In Escondido he found an environment in which he could flourish and did. Long after Dr. Bronner’s children and grandchildren have departed, Bronner family contributions to the good life will remain. Not just their products will continue to “serve mankind.” Air and water will be cleaner, people will have recreation areas and wildlife will survive in land sanctuaries funded by Bronner entrepreneurialism around Escondido. They are very proud of what they have given back and of course will continue to give more than they get in this life. They’re just that kind of people, Dr. Bronner’s own. All-One-God-Faith? Rabbi Dr. E. H. Bronner set a great example for living and doing business ethically. For historic and product information contact: Soapmaker Bronner, Box 28, Escondido, California 92033 TEL: 760-743-2211. Plant based nutrition is defined as a dietary pattern incorporating food quality algae, bacteria, barks, berries, brans, bulbs, enzymes, fibers, flowers, fruits, fungi, grasses, juices, leaves, microbes, oils, pods, pollens, roots, saps, sea vegetables, seeds, sprouts, stalks, stems, twigs, tubers, vines, yeasts, and their extracts such as infusions, plant source vitamins and minerals. It classifies vegetables as a diverse category which may include fruits (tomatoes), stalks (celery), and tubers (potatoes), for example, and views seeds broadly as including grains, legumes and nuts. In this taxonomy, rosemary is a leaf – as well as herb and spice, a fiddlehead fern is a stalk along with leaves, and Irish moss is considered a sea vegetable leaf cluster. Perhaps the single most essential nutritional substance is plant chlorophyll which transforms sunlight into proteins, starches and sugars and is immediately assimilated; its molecules are identical to mammalian blood heme with the exception of the former having an ion of magnesium and the latter an ion of iron. Beta-carotene is similarly necessary, along with the amino acids and essential fatty acids. Fiber is also considered essential, equivalent to a nutrient – as in the case of bran in fat binding and cholesterol reduction. Simply put, plants are essential in human nutrition. In addition to the consumption of edible plants – their fresh, dried, preserved, frozen and canned parts and substances – diverse other so-called processed or manufactured foods can be made by various combinations and procedures. These may result in, for example, kimchi or sauerkraut – fermented vegetables rich in plant source lacto-bacillus; tempeh – soybeans transformed by mycelium; wheatmeat or seitan – produced by washing away starch and retaining gluten; tofu or soy curd – produced by grinding, boiling, then filtering and coagulating the solids; beet pulp – fermented to grow microbes which concentrate cobalt and make it available as cobalamin or Vitamin B12 or provide a harvest of nutritional yeast; wheat grains – squeezed – with or without heat, using high or low pressure and without or with chemical catalysts – to extract oil from which further concentration can isolate Vitamin E; oat fiber – ground into particles so microscopic as to allow them to emulsify and suspend themselves in water as oatmilk; and so on infinitely as long as there is interest in uncovering nature’s secrets and constructing pleasing nutritious foods. More vitamins than those currently known and enzymes more numerous than have been cataloged, can be found in, isolated from, extracted and stored in liquids, powders, emulsions or waxes for storage and later systematic nutritional supplementation. Then, combinations of plant materials can be sun, freeze, vacuum or oven dried, powdered and then used in any ways desired. Plant based nutrition is holistic. While centered on plant foods, it realizes that human health is not based on food alone. Sunshine, air, water and sometimes non-plant source minerals are vital for survival and health. Therefore, it promulgates proper breathing – realizing that oxygen is basic for human life, requires adequate consumption of pure water – with attention to its quantity, quality, temperature and consumption sequence, and minerals from sea and earth sources. These, along with appropriate physical exercise, rest, sleep – and moral, ethical, logical, positive philosophical and spiritual orientations – are formulae supportive of human health. It advocates that plants and all their parts are alive, their quality dependent on their seed genes and the soil in which they are grown as well as the water irrigating them and the air which surrounds. Plant base nutrition accepts the body as whole and urges the growth and consumption of whole foods, urging maximum consumption of fresh raw nutrients and minimal use of cooking and other forms of processing. Nutritional proteins, carbohydrates, oils, enzymes, vitamins, fibers, minerals and water contained in edible vegetation are alone sufficient to sustain and enhance human life. At the core of this conception is scientific understanding and comprehension of the reality that there are not any non-plant human foods. Is this a valid definition of plant based nutrition? Have we left anything out? Are the parts rationally related to the whole? Is there redundancy, erroneous sequencing or wrong emphasis? Please provide your responses to this new definition, perhaps the first attempt to scientifically define plant-based nutrition. It is not hewn in stone or necessarily complete. If there are omissions, errors, invalid ideas or poor grammar, help us get it right. And do put it to use. Share it with others, inviting their responses. Confirm or dispute our hope that this is a useful iteration, unique and practical for the individual, family, cook, chef, grower, distributor, manufacturer, packager, labeler, wholesaler, retailer and plant food consumers of every sort. What do you think? Let us know. The incentive to draft “Plant Based Nutrition, A Definition” was realization that we didn’t really know how to precisely describe or define the term “vegetable.” It became apparent, after a little reflection, that the terms “seed” and “nut” were not all that concise either. Consider: “sesame and flax seeds, pecan and almond nuts” then the fact that tomatoes – usually considered a fruit along with apricots (which contain seed pits inside which are almond-like kernel nuts)…. Don’t tomatoes and eggplants and squashes contain seeds? Then, how do they differ from plums and apples? Well, you see the mess. Traditional terminology is just not quite precise. Hoping for simplicity and wanting to be humble, we went to libraries to search botany texts and research reports with the expectation that perfect clarity would leap out at us. Alas, a review of just a few books indicated confusion regarding what is a vegetable, a fruit, nut, seed, herb or spice. The text of this definition is our effort to put things aright in terms of what we mean by plant based nutrition. Decent try? Help us tweak it as needed to make a useful contribution. After all, when we say “plant based nutrition,” shouldn’t we all be thinking and meaning approximately the same thing. No? Maybe? Yes? Your responses will be welcome. Have you joined The Vegan Society (UK) yet? Friends there await your inquiry. You’ll relish their journal The Vegan, The Magazine of the Vegan Society and find their British style advertisements delightful. Though you already “belong to everything” and haven’t a cent to spare, there are overwhelming reasons to set thrift aside and pay dues transoceanically using your VISA card. This organization is the original. It began with an irascible fellow who insisted, around 1944, that The Vegetarian Society (UK), which had been first to use that post-Pythagorean term in 1844 (give or take a year), had given up sanity by allowing, using and advocating creature by-products. In better English, he was saying: No mo lactose- Ovo-, Lacto- Novo- and regurgo- all gotta go. Thus another new term, vegan, was instituted. Pronounce it (vejan) to rhyme with vegetation which is what vegans eat and eat and eat – exclusively. A quarter of a million vegans populate the British Isles these days. Some work for Her Majesty’s Treasury, some for Parliament. A bus driver here, a teacher there. Editors, writers. Machinists and motorcycle mechanics. You’ll find them most everywhere. No few working in the health foods industry and surely there are plenty of nutritionists and doctors. Unless you read The Vegan, you’ll never know what all these vegans are accomplishing over there. But, if you’re still resisting, consider that this journal regularly lists Britain’s vegan and vegetarian restaurants, hotels, inns, bed and breakfast facilities, spas and travel agents. With round-trip airfare on British Airways and staunch competitors as low as US$298.00, mightn’t membership in TVS be an investment? Why not contact the nice people at: The Vegan Society, Donald Watson House, 7 Battle Road, St Leonards-on-Sea, East Sussex TN37 7AA United Kingdom (TEL: 01424-427393 FAX: 01424-717064 WEBSITE: http://www.vegansociety.com) One can order membership and products directly by using the website. We have joined and urge you to seriously consider participating as a member of TVS. We trust you are already a member of AVS – the American Vegan Society, NAVS – the North American Vegetarian Society, VRG – Vegetarian Resource Group, PCRM – Physicians Committee for Responsible Medicine, FS – Farm Sanctuary, PETA – People for the Ethical Treatment of [Fellow Creatures], IPBN…. and your state and local – eat right and do good – societies. The United States exports numerous products produced from corn. In 1997, according to the Department of Commerce, the value of these exports was greater than $1.5 billion. Expressed in millions of dollars, 1997 product exports values included: corn meal $48.9; corn starch $56.5 ; corn oil-crude $137.4; corn oil-once refined $3.5; corn oil-fully refined $180; glucose-dextrose $38.5; glucose syrup $27.7; glucose syrup-20-50% fructose $7; chemically pure fructose $32.2; fructose syrup-50%-plus fructose $78.2, fructose solids containing more than 50% fructose $78; bran, sharps and other residues $13..4; corn gluten feed $548.8; corn gluten meal $296.6; other residues-starch manufacturing $6.4; corn oil cake $16; dextrins $5.3; and modified starches derived from corn starch $29.4. This is a lot of corn. In 1998, due to economic instabilities and increasing production in other countries, corn product exports will likely be lower. Since most corn is not eaten by people, getting more people to eat vegetation can depresses bulk corn prices. Learning to use corn in new ways is important for both producers and consumers. Replacing petroleum usage with substitute products made of corn can benefit everyone, creatures and the environment. Presumably, some federal agency such as the Department of Energy keeps track of the dollar value of corn-based ethanol engine fuel exported to Brazil and elsewhere. DuPont lobbied against ethanol arguing its research proved converting corn to alcohol used more energy than it produced; then they must have redone the research for they later put their vast North American CONOCO petroleum reserves and refineries up for sale and now are exploring plant based nutrition and probably plant based fuels as well. Don’t be surprised if a senior senator from Delaware someday acclaims the virtues of ethanol – and high lysine corn texturized proteins – after CONOCO has been finally sold. Who keeps track of corn liquor and other corn containing beverages? Both Archer Daniels Midland and Monsanto make corn polymer films which can be composted without any toxic residues. Are these exported? Do any corn chips get exported? There’s more corn in use than we realize. But who knows all the ways? Keep abreast of corn problems via www.texascorn.org. Any farmer or county agent can explain the economic realities. Corn is big business for the U.S. and global economies. In the midwest, corn is sometimes burned in combusters designed for wood and coal. Some farmers grow their own home heat. Corn-based plastic substitutes are likely to become practical next century, along with those long made of soybeans. Corn production costs currently exceed the market price and therefore corn farmers are in a no-profit squeeze with government support programs declining and enthusiasm for exports increasing. Purchasers pay a premium for high lysine corn, most corn is merely a surplus commodity. To an essentially bankrupt corn grower, it may seem that budgets are being balanced and profits are being made, after the crop leaves the farm, at his or her expense. Such an astute agriculturist would not be wrong. Since corn is deficient in lysine, there’s a giant global business in that amino acid extracted from soybeans and other sources to balance nutrition. Plant geneticists are racing to produce higher lysine varieties which can be patented. Monsanto and DuPont are in this competition. Lysine deficiency is problematic in people and fellow creatures. For too many years southerners were too dependent on corn and manifested pellagra, one of the first nutritional deficiency diseases conquered by science and common sense in the middle of this century. But for widespread pellagra, a terrible and unnecessary disease, there might never have been the well-intentioned federal school lunch program which now provides fatty heart disease, diabetes and osteoporosis inducing meals to a generation whose parents and grandparents may have suffered pellagra. Corn is excellent food, just not alone over long periods of time. Cornmeal is typically enriched, but to your cornbread mix add some high quality wheat or other grain flour, soy flour and soymilk, powdered sea vegetables such as kelp or dulse and calcium powder such as Dr. Bronner’s Calcium Magnesium Powder which is good in most everything. In meal planning, serve corn products along with plenty of raw and cooked greens. Guess who got pellagra? Those who ate corn without greens or the folks who ate corn with collard, kale and turnip greens? Use them in salads, steamed, in baked dishes and juiced. Should we be telling corn importers to enrich their menus and eat lots of greens? Does the Department of Commerce keep statistics on exports of greens? The illusion was videotaped and is available through the American Vegan Society, Box H – Dinshah Lane, Malaga, New Jersey 08328-0908 (TEL: 609-694-2887 FAX: 609-694-2288) for twelve dollars. They accept VISA. We’ve donated copies of the Marco Polo publication for AVS to give free to each videocassette purchaser. To further sweeten their offer, it’s a two hour tape also containing a sixty minute presentation “Cooking for Harmony and Peace” starring Marlene and Stephen Liff-Anderson. . A double feature and recyclable. When you’ve tired of us, you can fast forward to the Liff-Andersons. Enjoy their harmony and peace along with our celebration of Marco Polo to advance vegan cooking. If we ever get invited to perform again, we’ll have ready a second presentation: “Christopher Columbus Vegan Cuisine.” Have costumes, wok and crockpot – will travel…. Then, having done well with “Calcium: Searching for The Magic Bullet,” they proceed to “The Calcium-Rich Vegetarian Pantry where the first section is on “VEGETABLES” and appropriately note that first among these are “GREENS.” Hallelujah! Everything here is in correct and proper order. Then, after a few words on nutritional analysis, 141 pages of recipes are presented under the categories of “Spreads and Dips,” Soups,” “Salads and Salad Dressings,” “Main Courses,” “Side Dishes,” “Burgers and Patties,” “Pasta,” Desserts,” and “Beverages.” These recipes weren’t just thrown together, each one is easily prepared and essentially guaranteed success. The authors obviously made these dishes over and over again until each was perfect. Nutritional contents are presented uniquely at the bottom of each recipe page. Four appendices review “ Calcium Boosters,” citing high-calcium foods, and “Nutritional Notes on Calcium” which critique North American, World Health Organization and other official calcium intake recommendations, remind that calcium absorption and retention are as important as intake, and then present a “Calcium Table” listing approximate calcium values from various plant foods and finally describe “ Lifestyle Factors and Osteoporosis” with brilliant point and counter-point pairs of “facts” and “evidence.” The index at the end of this book is also usefully done. So what’s wrong with it? Even a book so strong must have some imperfections. We reveal these so as to enhance the credibility of the authors’ work and provoke editors to make a few tiny changes in subsequent editions. And, of course, book reviewers must be critical. Here goes…. Next edition, maybe carob (a nutritious alkaline plant food) will be used instead of chocolate (a non-nutritious acid plant food which also contains the alkaloid caffeine). If an editor forbids this, then chocolate needs to be listed in the “Calcium Table” [and there is enough space]. Had enough? Might the very few references to vegetarian soy cheez products give way to vegan products? There’s every reason to avoid products which may have even a little casein even though so-called authorities claim there’s no cholesterol. Stop? And, especially in Canada, it’s safest to use a new word such as cheez to avoid problems with those who make the traditional creature effluent based products. Can’t stand this tedium? One recipe suggests using a store bought pie crust for convenience, but the purist will want to join us in substituting a fine homemade crust such as the oat-walnut-sunflower concoction we whipped up to honor and enhance the splendid tofu-kale quiche recipe that we want to make regularly for the rest of our lives. Finally, our suggestion for a sub-title would undoubtedly sell fewer books: Delicious Calcium-Rich and Plant-Based Recipes. That’s it for criticism. We’ve never seen a better or more finely tuned tome. In every way, David and Rachelle have given the world something else beautiful – in addition to their beautiful selves and daughters. More books, Bronfmans! Thank you all for CalciYum! It meets real needs – beautifully. David and Rachelle Bronfman. CalciYum! Delicious Calcium-Rich…Recipes. Toronto, Ontario: Bromedia Inc., 1998. ISBN 0-9683503-0-5. US$19.95 CA$22.95. [Bromedia Inc., Box 778, 181 Bay Street, Toronto, Ontario, Canada M5J 2T3. TEL: 416-512-2965, FAX: 416-226-0499, EMAIL: info@bromedia.com]. Tell them we love and highly recommend their good work! Sometimes a book comes along that is outstanding in every way. Great subject, rationale, philosophy, title, cover, design, illustrations, text. Every word and idea in one new book has us ecstatic. We weren’t expecting such a marvelous contribution to plant-based nutrition literature to arrive from Canada. But, it’s here and to describe it as merely “outstanding” would be an understatement. The word “seminal” is more apt. The Japanese have a still better word for such excellence: “shibui” – a thing of beauty and practicality in perfect balance. Here is a book, a great book, a well-composed symphony and eloquently choreographed ballet inside a book, appearing so unpretentiously on a table at a vegetarian food festival. The author, rather co-author, sitting unobtrusively behind the small stack of books. Quiet, demure, beautiful. If one asks a question, she springs to life – bright eyed and clear speaking like a petite bird springing into song. Others gather round, for here is a person of quality and education sharing undeniable truths and for free. About calcium, that essential mineral so many wrongheaded opinions misperceive. This gentle bird, woman, worldmother speaks softly regarding its importance. People are awed. In a nearby hall she gives a demonstration. “These are some of the foods rich in calcium….” Everyone is respectful and pleased beyond words. It’s this simple. This is the nicest telling of the truth about calcium. Anyone can understand it and everyone will benefit. Rachelle and David Bronfman’s, CalciYum! (Toronto, Ontario: Bromedia Inc., 1998) sets a new standard for vegan books. It is a five star ***** IPBN selection for 1998, recommended for householders, family sharing, gift giving, review at vegetarian society meetings, placement in public, school, college, university, medical school, newspaper, other media and government agency libraries. We bought an extra copy for our Representative to the State Legislature who is striving to educate herself regarding osteoporosis and the positive relationships between food and bone strength at the various stages of life. If she doesn’t hug us for this delightful surprise we’ll be amazed. Who doesn’t need to know how and what food develops body architecture? The Bronfman’s researched calcium over four years and then distilled their understandings into this precious book which educates and then practicalizes the effort by providing delicious calcium-rich vegan recipes. They couldn’t have picked better photographs – of foods prepared using their easy to follow recipes, whetting readers’ appetites while demonstrating artistic presentations of simple cuisine. Ah, the beauty of it all. In three pages, David and Rachelle communicate all one needs to know about calcium, where to obtain it, how it works in human bodies, what causes detrimental expulsion of calcium, and they explain how to use their book while simultaneously referring readers to the various sections. Excellent writers. Very nice page layouts also. The attractive repeating design motif intrigues. The “Tips” are interesting and useful. having done well with “Calcium: Searching for The Magic Bullet,” they proceed to “The Calcium-Rich Vegetarian Pantry where the first section is on “VEGETABLES” and appropriately note that first among these are “GREEENS.” Hallelujah! Everything here is in correct and proper order. Then, after a few words on nutritional analysis, 141 pages of recipes are presented under the categories of “Spreads and Dips,” Soups,” “Salads and Salad Dressings,” “Main Courses,” “Side Dishes,” “Burgers and Patties,” “Pasta,” Desserts,” and “Beverages.” These recipes weren’t just thrown together, each one is easily prepared and essentially guaranteed success. The authors obviously made these dishes over and over again until each was perfect. important as intake, and then present a “Calcium Table” listing approximate calcium values from various plant foods and finally describe “ Lifestyle Factors and Osteoporosis” with brilliant point and counter-point pairs of “facts” and “evidence.” The index at the end of this book is also usefully done. One veganomic guru asks: When was the last time you heard somebody exclaim, “I’m eating more flesh than ever.”? Ever hear someone tell a physician, “ Doc, I enjoyed this heart attack, savor my strokes, cancer, diabetes, kidney and gall stones, all the other stuff too. After you finish my by-pass surgeries, I’ll enthusiastically eat more flesh and fewer vegetables. Anything’s better than what those health nuts eat”? Do modern health care specialists advise patients to “Skip the fruit and vegetables, lay off grains and legumes – because they can only make you healthy. To support the healthcare system, do as we do and eat more flesh.”? Nobody would say this. To the contrary, even those in the once revered non-plant non-food flesh and by-products businesses are themselves aware that neither creatures nor any of their effluents, ovum or extracts are healthful for humans to consume. Plant based nutrition is defined as a dietary pattern incorporating food quality algae, bacteria, barks, berries, brans, bulbs, enzymes, fibers, flowers, fruits, fungi, grasses, juices, leaves, microbes, oils, pods, pollens, rhizomes, roots, saps, sea vegetables, seeds, sprouts, stalks, stems, twigs, tubers, vines, yeasts, and their extracts such as infusions, plant source vitamins and minerals. It classifies vegetables as a diverse category which may include fruits (tomatoes), stalks (celery), and tubers (potatoes), for example, and views seeds broadly as including grains, legumes and nuts. In this taxonomy, rosemary is a leaf – as well as herb and spice, a fiddlehead fern is a stalk along with leaves, and Irish moss is considered a sea vegetable leaf cluster. Perhaps the single most essential nutritional substance is plant chlorophyll which transforms sunlight into proteins, starches and sugars and is immediately assimilated; its molecules are identical to mammalian blood heme with the exception of the former having an ion of magnesium and the latter an ion of iron. Beta-carotene is similarly necessary, along with the amino acids and essential fatty acids. Fiber is also considered essential, equivalent to a nutrient – as in the case of bran in fat binding and cholesterol reduction. In summary, green plants are the essential in human nutrition. Plant based nutrition is holistic. While centered on plant foods, it realizes that human health is not based on food alone. Sunshine, air, water and some non-plant source minerals are vital for survival and health. Therefore, it promulgates proper breathing – realizing that oxygen is basic for human life, requires adequate consumption of pure water – with attention to its quantity, quality, temperature and consumption sequence, and minerals from sea and earth sources. These, along with appropriate physical exercise, rest, sleep – and moral, ethical, logical, positive philosophical and spiritual orientations – are formulae supportive of human health. It advocates that plants and all their parts are alive, their quality dependent on their seed genes and the soil in which they are grown as well as the water irrigating them and the air which surrounds. Plant base nutrition accepts the body as whole and urges the growth and consumption of whole foods, urging maximum consumption of fresh raw nutrients and minimal use of cooking and other forms of processing. Nutritional proteins, carbohydrates, oils, enzymes, vitamins, fibers, minerals and water contained in edible vegetation are alone sufficient to sustain and enhance human life.